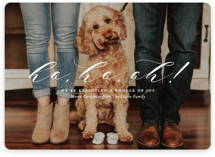 Congratulations on your growing family this holiday season! 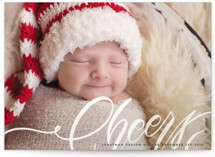 Share the joy of your baby’s first Christmas with a beautiful Christmas photo card from Minted. 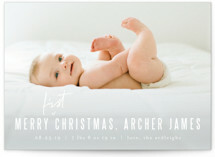 Our baby's first Christmas cards combine a pregnancy, baby or birth announcement with our winning holiday designs. 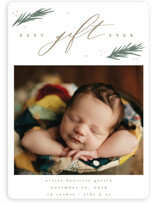 You only get one chance, so this is the year to go all out with your Christmas card, newborn-style. 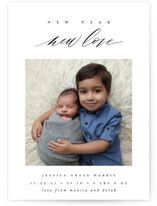 Expand your address book to share the adorableness far and wide. People will thank you! 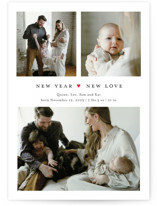 Take plenty of photos, both for your card and for posterity. This is truly a magical time. 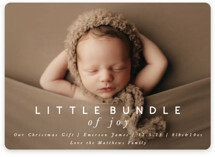 That said, remember to put the camera down too and relish the Christmas season with your new addition. Cherish the now. Note some big changes you notice in your home. 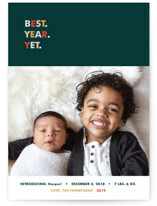 Tell them about a choice milestone, the cute sounds, your favorite facial expressions and/or their budding personality. These bits never get old. You can also share about all the sleep you’re getting or not, but don’t brag or beg for help. Remember, everything is a phase! 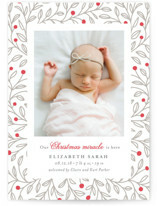 Even if you’re not a writer, you can pen a short story about "our first Christmas" to your friends and family. 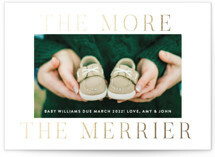 Whether yours is a romantic one between parents with their one and only newborn, a new sibling story, a multi-generational story or a mix of all three, there’s bound to be a tale to share. 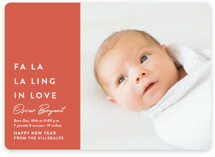 Choose our heartier paper stocks to make these last the longest. You'll find that many keep these cards as memories. 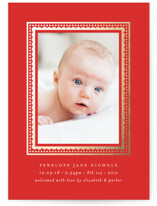 If there was a perfect year to splurge on our TripleThick paper, this is it. 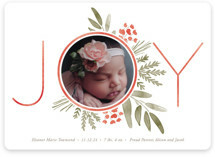 In the vein of keepsakes for years to come, consider getting baby's first Christmas ornaments personalized and added to your shopping cart. 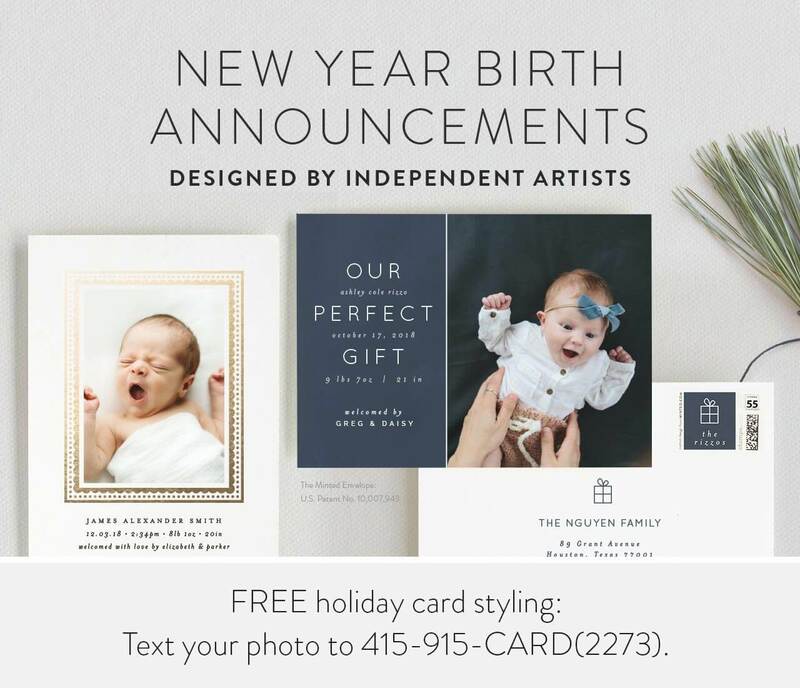 That way, you can send traditional Christmas cards while baby’s first Christmas ornament can hang on Christmas trees every year. 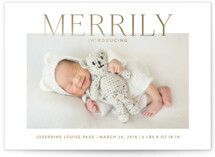 These are great keepsakes for extended family or even the babies when they are all grown. Remember to get your new one their very own personalized Christmas stocking! Take a moment with our selection of fabrics to find the one that speaks to you most. This one will be pulled out year after year and should give you a smile each time.